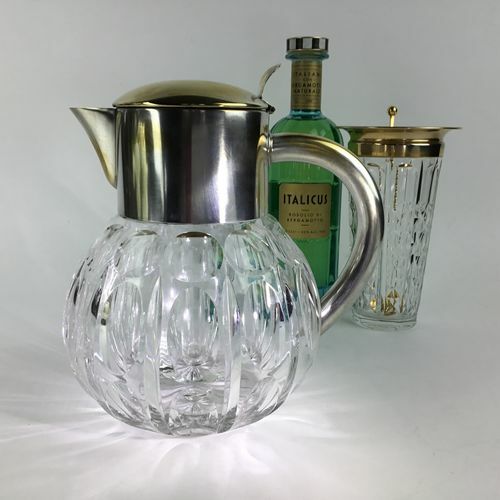 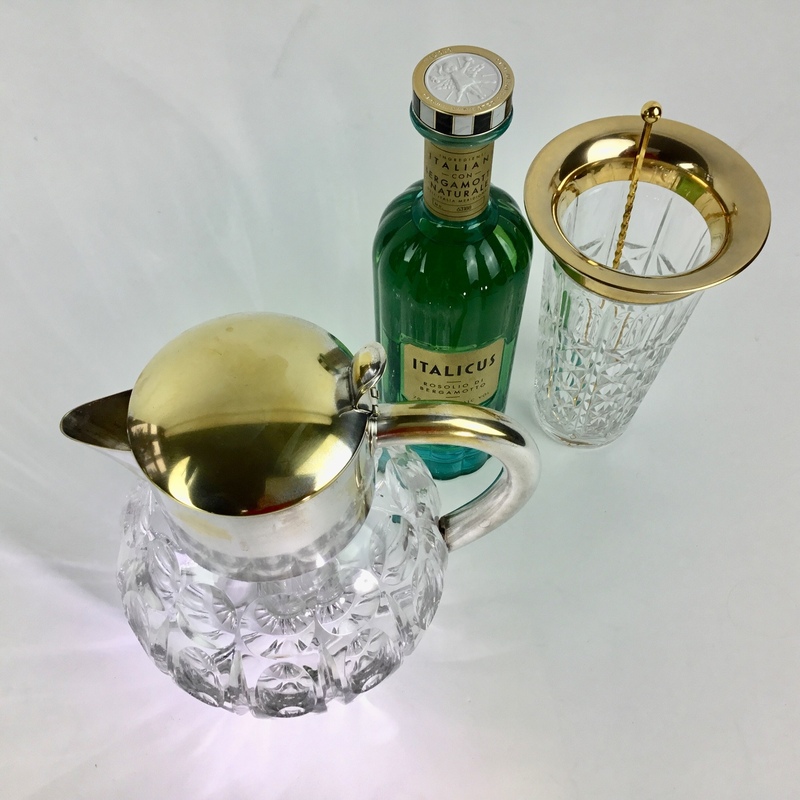 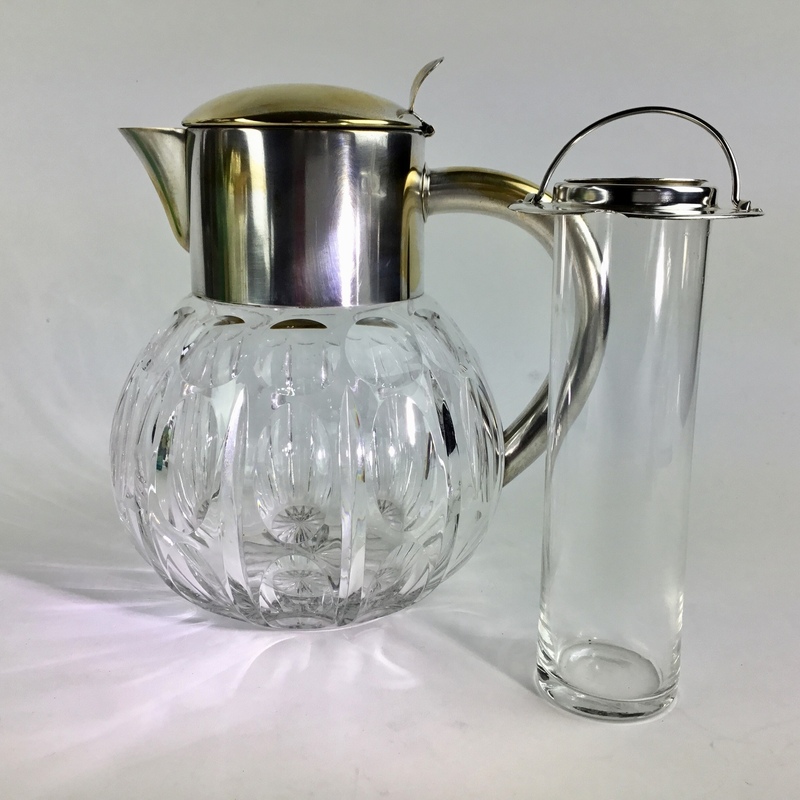 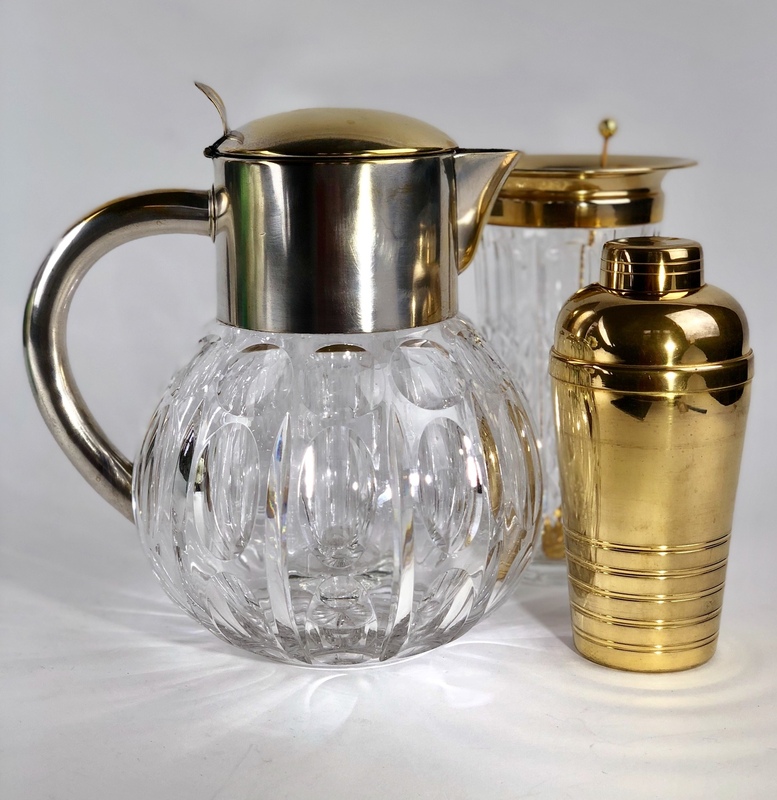 A smart Mid 20th Century heavy cut crystal cooling jug with removable ice holder. 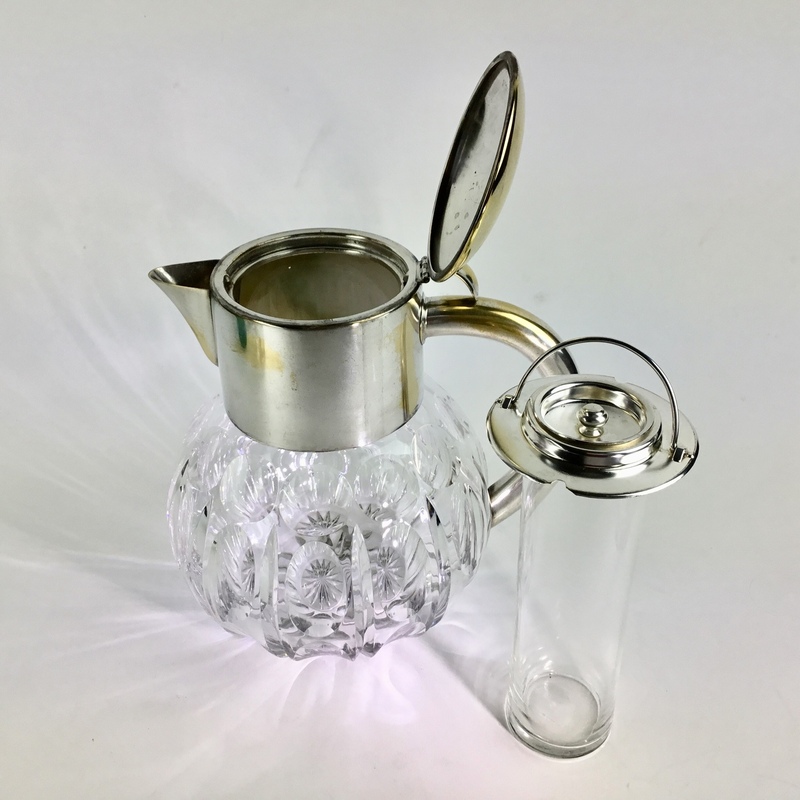 Fill the tube with ice and suspend in the jug to ensure cooled but undiluted contents. Perfect for cocktails, Pimms, lemonade or orange juice. 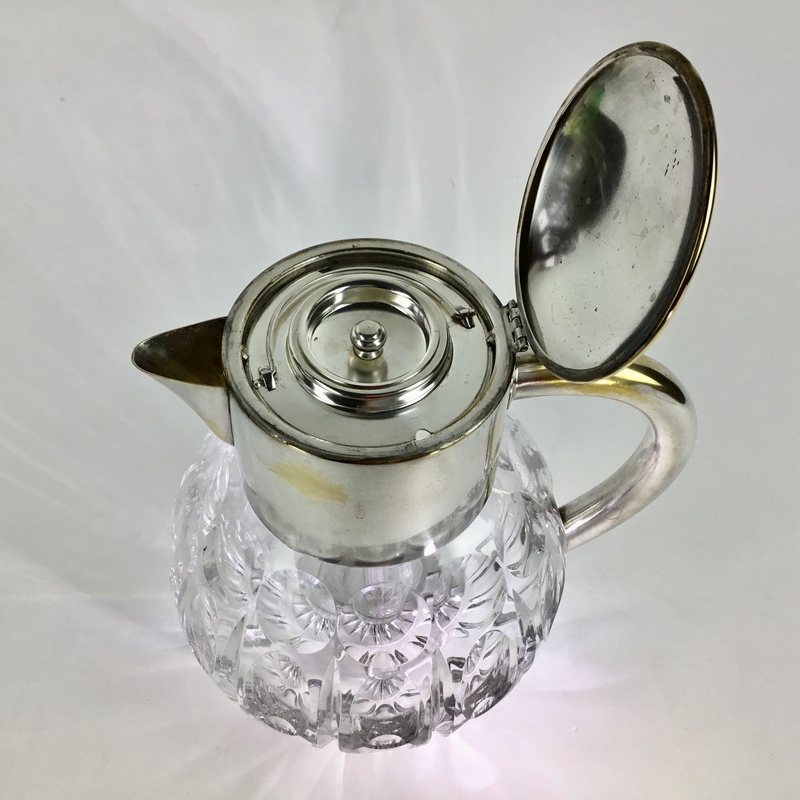 The silver plating is gently wearing in places to form a pretty gold and silver patina.